COUNTER stats have got a bit of a bad rep over the years … a lot of publishers view them as a cumbersome and expensive add-on that delivers little additional value. And I can understand why. Metrics were heavily geared towards books and journals but didn’t work well for other publication types. Reports were inflexible and hard to read. And the work required to generate the reports was expensive and time-consuming. On top of this, the process for delivering reports can range from inefficient to medieval. Historically, publishers have generated COUNTER reports monthly and shared access to them as downloadable files. The reports are typically only available after a monthly batch process has run. The only way to view them is to download the files and open them in excel or similar. And, if a SUSHI feed isn’t provided, the only way to aggregate them is to manually cut’n’paste the totals into a master spreadsheet (and then repeat for all your other library resources). But that’s all changed with Release 5… No, seriously! More excitingly for publishers, R5 allows custom metrics to be incorporated alongside the standard COUNTER metrics. What does this mean for you? Think that COUNTER doesn’t fully represent the value of your publications? Now you can add your own metrics into the mix. 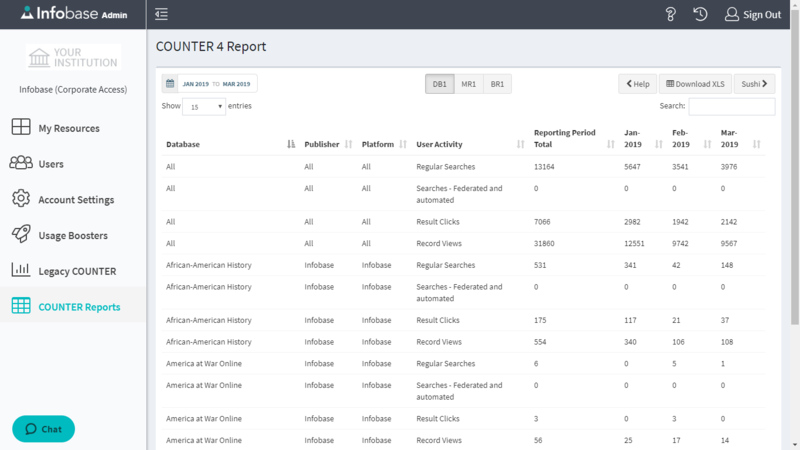 You can also customize other aspects of the reports, such as adding data types that reflect your unique content. Best of all, there’s a new tool that makes delivering COUNTER a cinch (or a doddle, if you’re the other side of the pond): the LibLynx COUNTER Widget. We recently helped a publisher whose legacy COUNTER process was painful for everyone concerned. Their COUNTER reports were batch processed monthly so everyone had to wait to receive the latest reports, including sales staff. There was no automated notification system so support staff had to let everyone know each month and, in some cases, email them the reports. The reports themselves weren’t fully-compliant so publisher staff struggled to explain variations in the stats, and subscribers lacked confidence in their credibility. And there was no support for SUSHI so larger libraries regularly complained about having to manually manipulate the spreadsheets as part of their usage analysis. Frankly, no-one was happy. And, now that they’re fully COUNTER-compliant, we’re working with them to incorporate additional custom metrics and reports that better showcase their content. We offer a fresh, simple alternative for publishers and their customers to fully realize the benefits of COUNTER statististics, without the old-tech hassle. Interested? Please contact us today.